The Win iPhone XS Sweepstakes is organized by DearMob, Inc ("Administrator"). By entering into this Sweepstakes, you ("Entrant") agree to accept the terms and conditions in these Official Rules. The Sweepstakes begin at 00:00am PST on Mar. 22, 2019 and ends on Apr. 8, 2019 at 11:59pm PST ("Entry Period"). Entries submitted before or after the Entry Period will not be eligible. Visit the iPhone Xs giveaway page, vote for your mobile phone choice of 2019 5G year, and simply submit a valid Email Address as 1 entry. 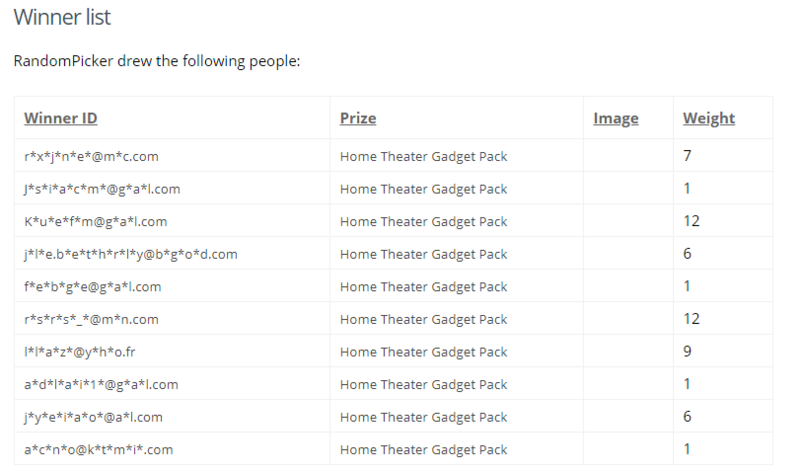 You can earn 10 Additional Entries (i.e. the Weights in randompicker.com) by joinning our discussion of "Choice of Phone in 2019" by commenting why you made that choice, you can also feel free to exchange your thoughts in the comment section by replying other people's comment but that won't add additional entries on your chance of winning. -iPhone Xs with 256G Capacity ($1,149.00), the latest gen of Apple's phone. -DearMob iPhone Manager ($65.95), an easier iOS Manager to backup and transfer your iPhone iPad data without iTunes. On April. 9, 2019 , A random draw will be conducted with randompicker.com. Beyond that, this campaign is not connected to any third-party lottery drawing apps. The odds of winning depend on the number of entries received during the Entry Period. The Administrator reserves the right to substitute prizes with equal cash value transferring via PayPal under exceptional circumstances. All taxes, fees and surcharges on prizes are the sole responsibility of winner. The winner list will be announced on the sweepstakes rules page, our Facebook and Twitter. Winners will be notified by email- so make sure you've input your valid email address (we've had the experience of not hearing the reply of the winners before). If the winner does not respond within 3 days of notification, an alternate winner will be selected at random from all remaining entries received. Only 2 alternate winners may be contacted. According to the sweepstakes terms and conditions, enries are void when the entrant tries to obtain more than the stated number of Entries by using multiple/different email addresses, identities or any other methods. The sweepstakes is open to anyone from all over the world who has reached 18 years old or older at the time of entry. Void where prohibited. Please note that for winner from countries other than the United States, United Kingdome, France, Germany, Canada and Japan, we will send him/her the equal value cash of the prize via PayPal. Please notice that we won’t pay the transaction fee.